Georgia’s supply of sodded turfgrass will sufficiently cover demand this year, and the delivery cost is not expected to rise, according to the Annual Georgia Sod Producers Inventory Survey conducted by Clint Waltz, University of Georgia Cooperative Extension turfgrass specialist, and the Georgia Urban Ag Council. Thirteen Georgia sod producers participated in the survey, representing farms ranging in size from less than 300 acres to more than 900 acres. The majority of survey participants manage less than 300 acres. The survey collected data on the stock of Georgia-grown Bermuda grass, centipede grass, Saint Augustine grass, tall fescue and zoysia grass. The majority of the surveyed producers grow Bermuda grass. The state’s stock of zoysia is the same as last year — a “suitable volume,” according to Waltz. Georgia sod producers don’t plan to add more acreage this year, according to the survey. 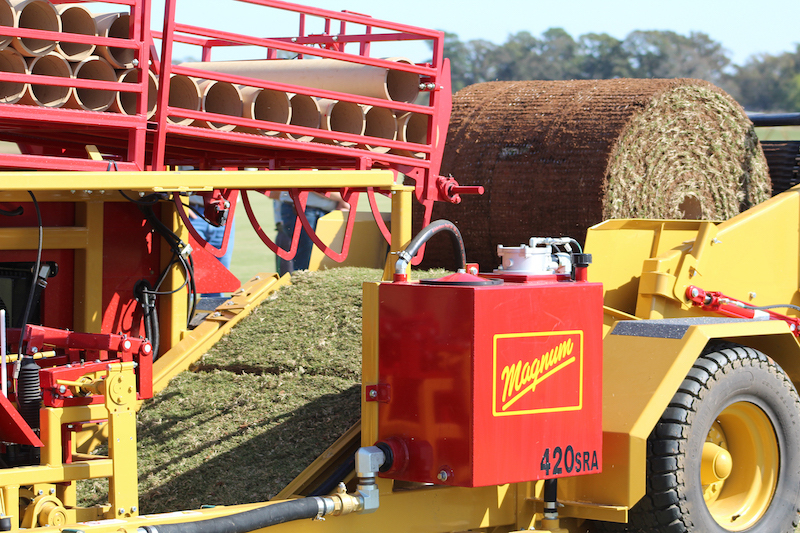 Growers say the price of sodded turfgrass in Georgia should remain steady into 2018. On-the-farm and delivered prices for sod are expected to remain relatively unchanged or decrease compared to 2017 and 2016 prices. The price drop could range from 4 to 11 percent over last year’s prices, according to survey respondents. Of the five species grown in Georgia, only Saint Augustine grass is forecast to have a noticeably higher price than in 2017. The average price for certified grass will be 2 cents per square foot less than last year. The cost to deliver sodded Bermuda grass, zoysia and centipede grass is expected to be similar to last year. The survey showed that the delivery price for tall fescue is projected to fall, but the cost to deliver Saint Augustine grass will rise. Freight rates per mile shipped to Atlanta, or within 100 miles of the farm, held constant. The majority of the sod producers surveyed said most of their sod is sold to landscape contractors and to golf courses. In the past, when inventory shortages were a concern, it was prudent to plan well in advance for turf-related projects to get the best price possible, according to Waltz. “2017 was a good growing year for sodded turfgrass. Added acres in production over the past few years seemed to have stabilized the market for now. 2018 appears to be less tenuous," Waltz said. To view the entire 2018 survey, go to GeorgiaTurf.com.